Devonshire is a 43-story residential tower located in the heart of Boston's financial district. 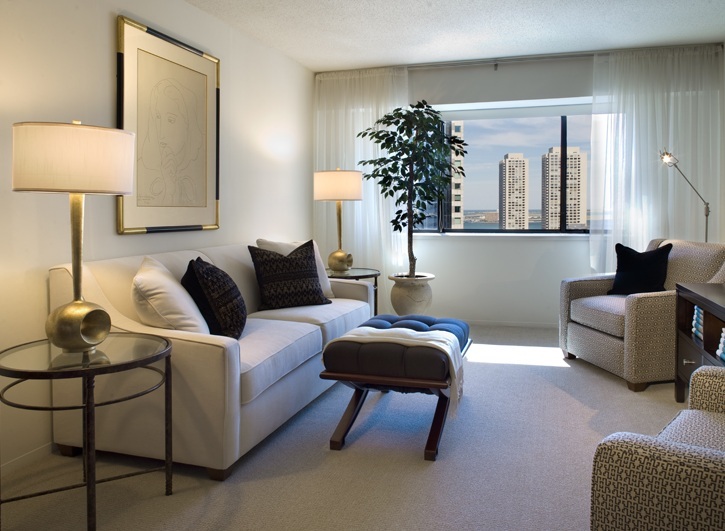 With magnificent views of the city and Boston Harbor, these luxury rental apartments and amenity spaces cater to the needs of discerning individuals. 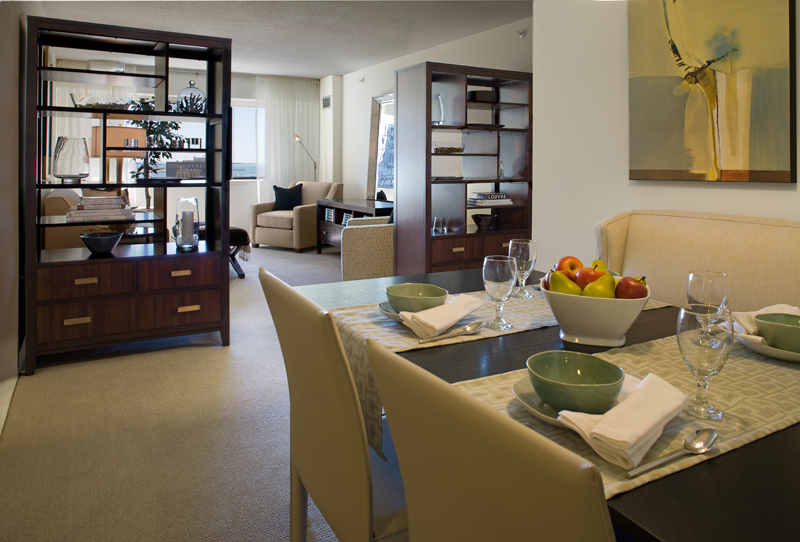 With the goal of increasing unit occupancy, we transformed two apartments into model units that reflect the brand and sophisticated lifestyle which Devonshire offers. A palette of refined neutrals was the basis in shaping two distinctly different apartments. Color, furnishings and accessories create warm, inviting interiors that complement the modern architecture of the public spaces and provide a cohesive experience for residents. We were asked to tackle apartment floor plans with a history of high vacancy. Within the first weeks following completion of the model units, rental of those floor plans had risen significantly.